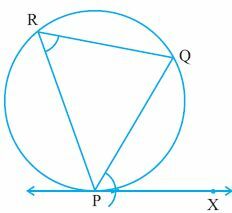 Q 2: Draw direct common tangents to 2 circles of radii 2cm whose centers are 5cm apart. 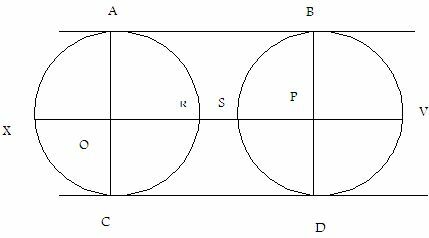 Q 4: Draw direct common tangents to 2 circles of radii 6cm whose centers are 5cm apart. 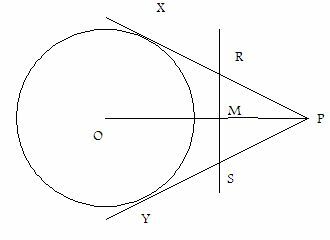 Q 5: Construct transverse common tangent to circles of radii 2cm and 1 cm whose centers are 5.5 cm apart. 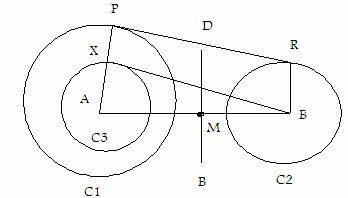 Q 6: Construct direct common tangents to 2 circles of radii 6cm and 4cm whose centers are 8.5cm apart. 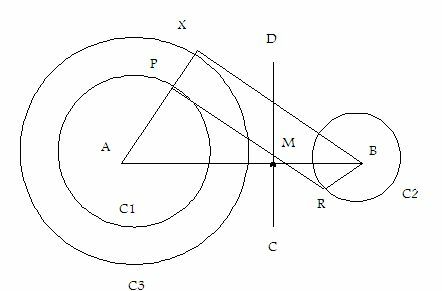 Q 7: Construct direct common tangents to 2 circles of radii 3cm and 2cm whose centers are 6.5cm apart. 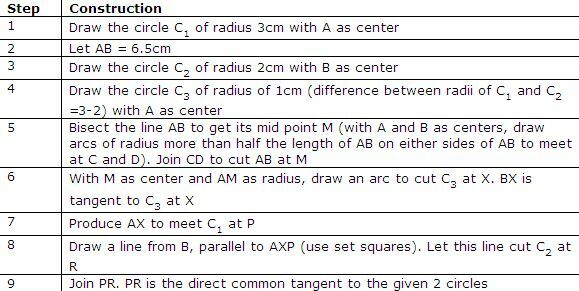 Q 8: Draw direct common tangents to 2 circles of radii 4cm whose centers are 5cm apart.